Hi and GoodMorning my lovely readers! Hope you had enough and more fun this past weekend to take on Monday headstrong! 😛 As a final part to my festive fun theme here’s my last IndoWestern fusion look. 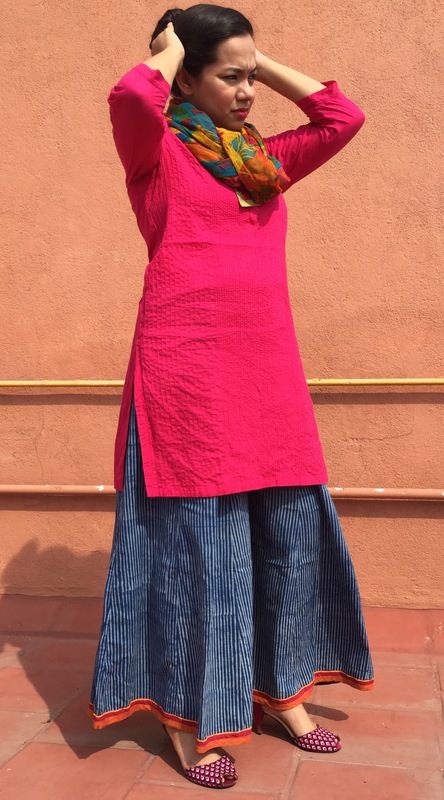 I have paired my palazzo pants which has shown its “flair” on this blog long ago with a contrast kurta and a colorful dupatta! Let’s go straight into the look! 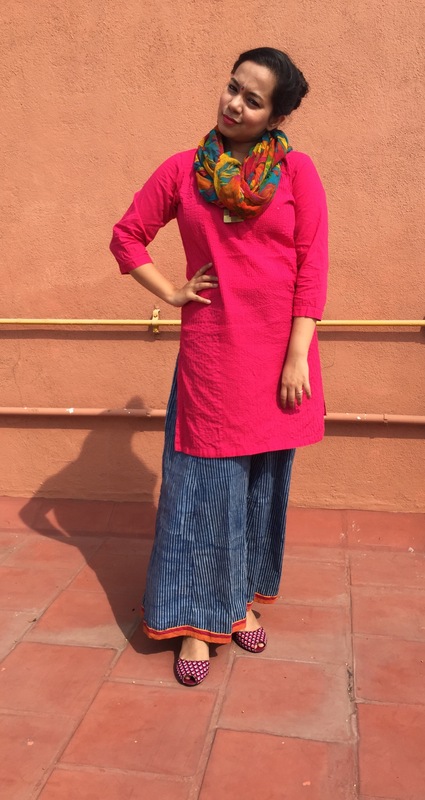 I love this pink and blue combination and I often wear this kurta to work with blue bottoms. So pairing it with these blue palazzos were a no-brainer! I completed the look with a topknot and a gorgeous pair of heels in the same colour scheme! Sorry about the squinting in every photo! We shot this look in the afternoon and the sun was in my eye at every angle! Another way of wearing this look and making it look a little festive is wearing a tank top and wearing the dupatta around it knotted at the waist like a jacket! Take a looook! Such a look is so easy to recreate because who doesn’t have palazzos these days and they look gorgeous with kurtas. Also, if you are one of those girls who has lost interest in wearing jeans then these outfits are the way to go babe trust me! Advice from a person who’s been there and done that! 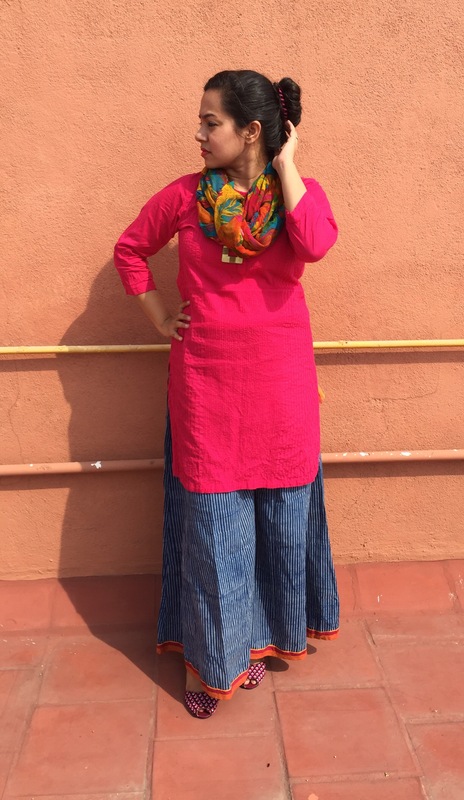 Outfit details : Kurta and Palazzo pants – Fabindia; Heels – Flipkart; Square long chain – Sundari Silks; Tank top (racer back) – Jockey; Dupatta – Mom’s very old and Unknown! That’s all from me folks! Hope you enjoyed this short and sweet post! Please tell me that you’ll try recreating this look for the festivities ahead! Have an amazing week! May all your to-do lists have nothing but satisfying strike throughs by the end of this week! 😂😃 Ciao!